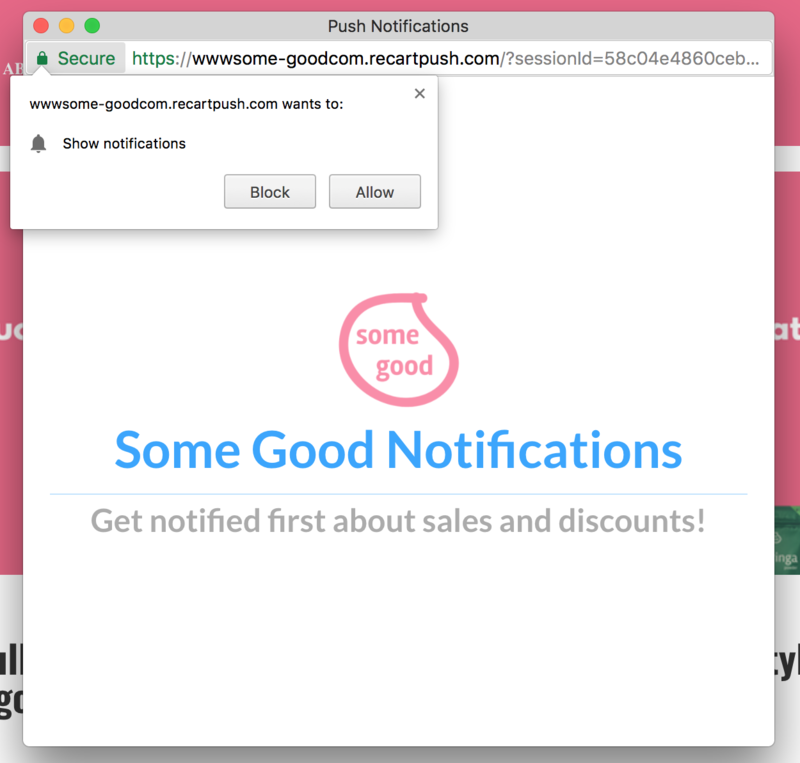 In March 2017, Recart launched Push Notifications. This push message is the new way to reach or re-engage your customers and make more sales than ever. Recart only sends push messages to your push subscribers. 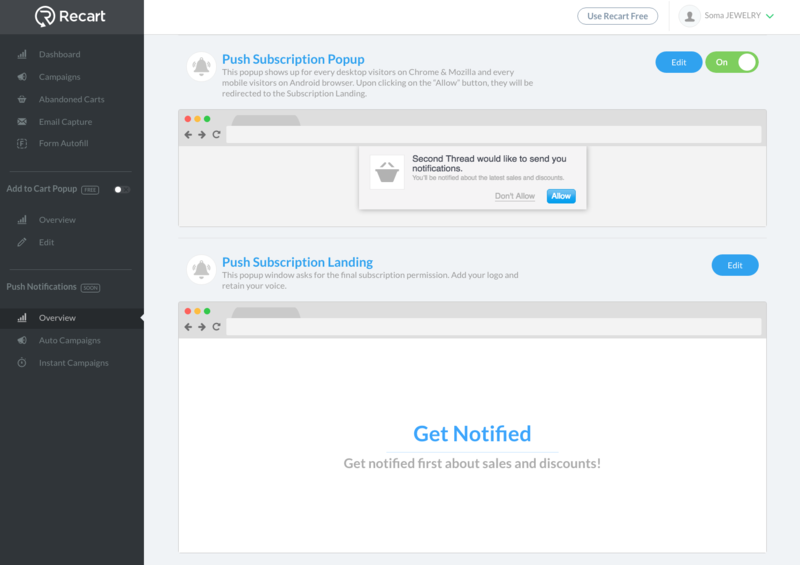 To collect push subscribers, you need to turn on the Push Subscription Popup. You find it on Push Notifications - Overview page. Click on Edit, and you'll arrive to the Push Subscription Popup Editor: Edit your Subscription Popup and shape it to your brand's design. After you turned it on, the Push Subscription Popup will appear for every customer until they hit Allow or Don't Allow. Note: It only shows up in Chrome and Firefox browsers on desktops, and Android smartphones. When a customer clicks on Don't Allow, the Subscription Popup disappears and is never shown again for that customer. If they click on Allow, an additional window will appear. This window is called the Push Subscription Landing. It will ask for the final permission from the user. If you have any questions, please don't hesitate to ask us!